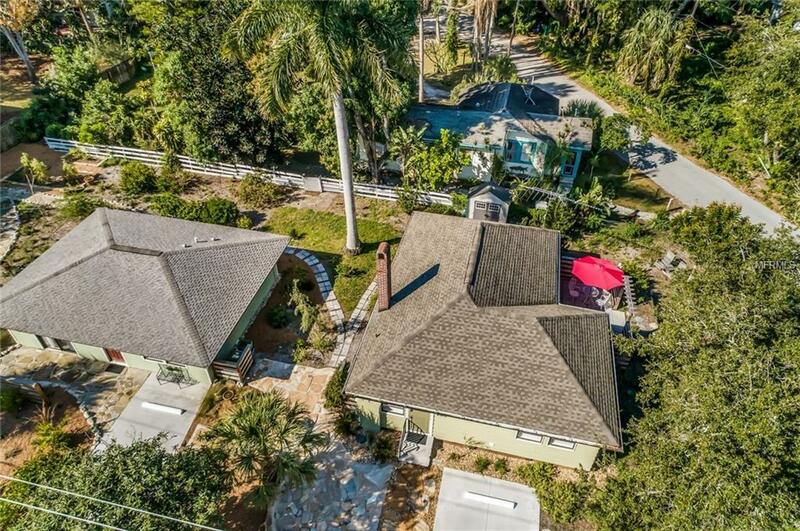 Two charming impeccably renovated cottages sit side by side at 2475 Alameda Avenue in the Sarasota Bay Neighborhood of Indian Beach. The dwellings are being offered as a pair because of deed considerations. 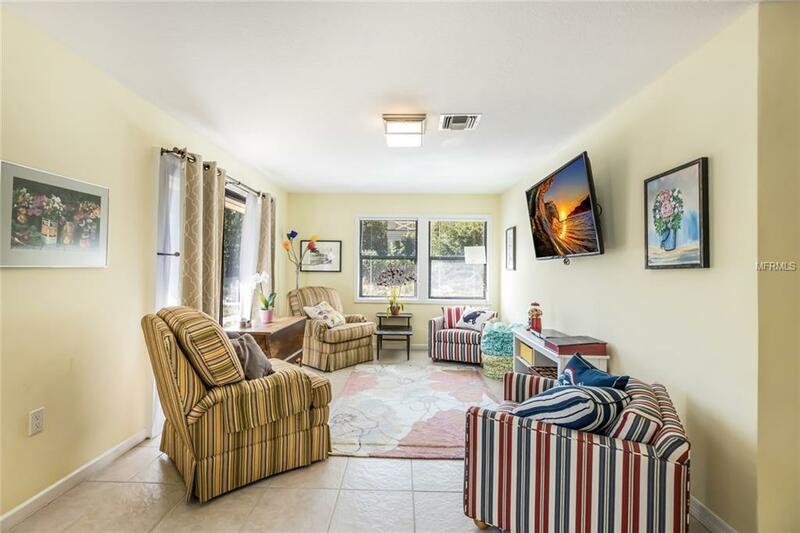 Both homes have been successfully rented and are a great investment opportunity with lucrative income or your own Sarasota pied a terre close to downtown, the Cultural District, The Ringling Museum, The Ringling College of Art and SRQ International Airport. The 1000 sq. ft. North Cottage (a.k.a. Scruffy) was built c. 1925 and features 2 bedrooms, one bathroom, kitchen and a fireplaced Living Room with a separate dining area. It was built on land that was part of the original William Henry Whittaker 200 Acre Purchase of 1840. The 800 sq. 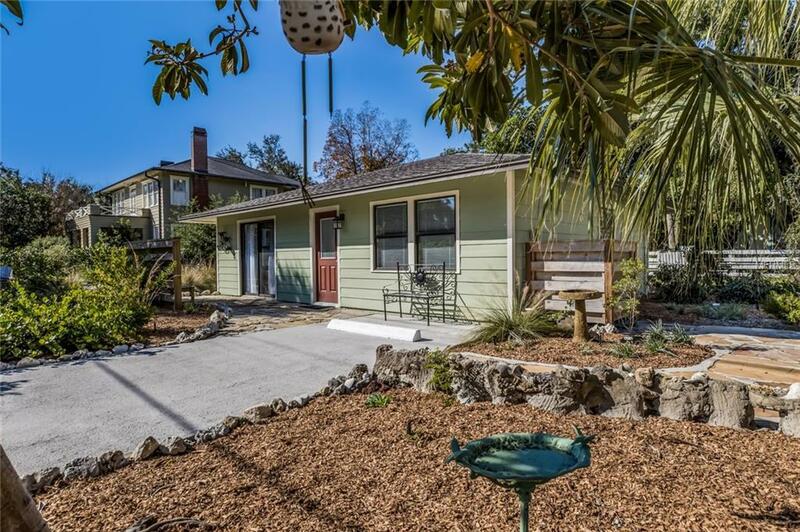 ft South Cottage was constructed in 1998 and has one bedroom, one bath, a living room and kitchen with a dining area. All of the utilities for both cottages are underground and the mechanical, plumbing and HVAC systems are current. 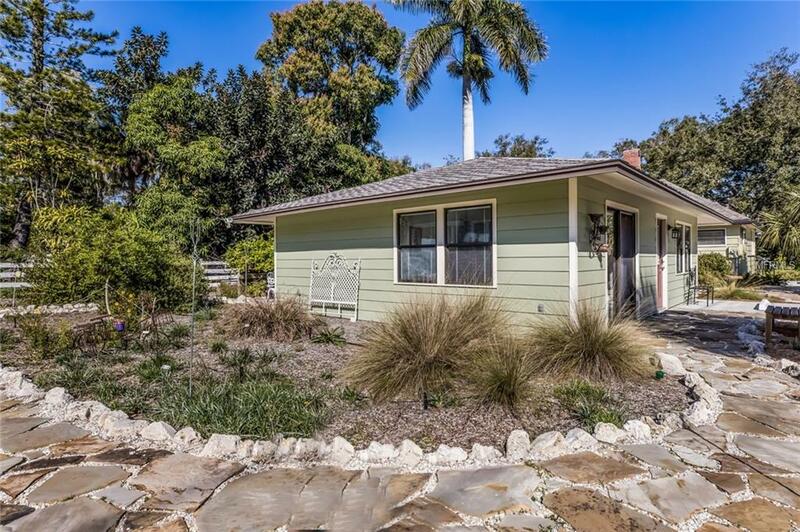 A lovely landscaped Florida Friendly garden enhances the property with more than 80 species of native plants. It has been recognized for its environmental sensitivity including a recent tour by the Florida Native Plant Society. Two gems!